Home Blog Why Big Companies need to move on the cloud platform? Why Big Companies need to move on the cloud platform? Businesses, no matter how big or small, or the industry they belong to, are turning to cloud services. The one area of concern for many organizations looking to move to cloud services is whether they can trust the infrastructure on which their services and data will run. To do away with security concerns, the right security features must be in place. In this blog post, we list a few reasons why businesses need to embrace the cloud platform. 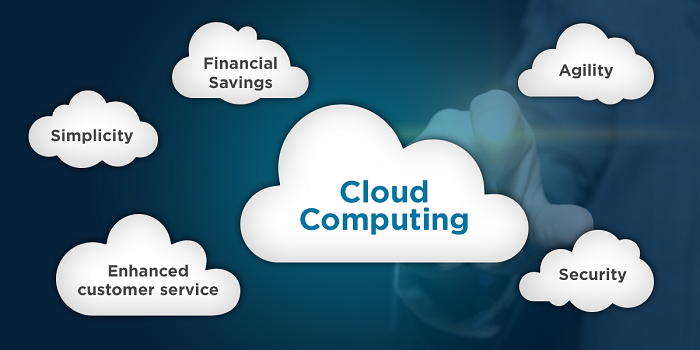 Let’s take a look about the benefits of Cloud Computing. The most important part of cloud computing is that providers take care of the servers and regular software updates. The latest versions of apps needed to optimize business functions are made available to customers as soon as they are released. Instant upgrades put new functionalities at user’s disposal, increasing their productivity. Compared to traditional options, costs of cloud computing are more flexible. Businesses only need to pay for the server and infrastructure capacity they need. Infrastructure capacity can be provisioned during peak times and de-provisioned when no longer required. Using cloud computing allows companies to reduce the size of their own data centers. The reduction in software costs, servers, and the number of staff significantly reduces IT costs for companies, leading to a significant increase in profits. Lost laptops may lead to multiple business problems, but the greatest loss is when sensitive data gets lost or accessed by unauthorised people. Cloud computing allows you to store your data on cloud, and access it even when your laptop is damaged or lost. You can also secretly delete all data from lost laptops to prevent it from going into the wrong hands. The more partners and employees collaborate on documents, the more the need for watertight document control. When you move to cloud computing, all your documents are stored on the cloud, and there is greater visibility to everyone and everything becomes more streamlined. Most businesses move to the cloud as it offers benefits such as increased efficiency and better data security. Compliance concerns are also resolved by extending corporate policies to data on the cloud, and closing all cloud skill gaps. With these cloud computing benefits, big companies should adopt Cloud technology in their day-to-day operations. Join the many companies who have taken advantage of i2k2 Networks’s high range of cloud computing services to enhance the way they work. Contact us to get more information about our cloud servers, web hosting options and how we can make changes in your enterprise.